The Silent Hill series has been renowned for its music since the very first game came out. For the series second title, composer Akira Yamaoka raised the bar and brought melodic, emotional, and engaging tracks that were not just great background themes but good songs in general. This continued until Akira’s last Silent Hill game, Silent Hill Shattered Memories. Akira has since left Konami and has been working with Grasshopper Manufacture on games such as Shadows of the Damned, Lollipop Chainsaw, and radio drama Sdatcher. With Akira gone, Konami needed to find a new composer. At E3 2010, Silent Hill 8 was revealed along with its new composer, Daniel Licht of Dexter fame. Dan had worked on horror before, but Silent Hill would be his first videogame. Fast forward two years and here we are with Licht’s entire soundtrack for Silent Hill Downpour primed and ready for release in two weeks. Milan was kind enough to send over a copy of the soundtrack so I figured I would sort of review it. Now, I’m no music aficionado, but I know what I like and don’t like. I might not be able to give you the exact terms for some sounds or names for instruments, but as a fan of the Silent Hill series, I can tell you if it sounds right to me. Licht has approached the series that many fans feel already has a lifelong sound and given it a sound of his own, while keeping true to many aspects that Yamaoka set. The OST hits familiar tones but provides a more theatrical approach to the game’s music. “Intro Perp Walk” is one of the best tracks on the album. It features Mary Elizabeth McGlynn and a some serious mandolin love. Other tracks hit close to the series industrial and ambient-fusion past. Like mentioned before, Licht’s tracks sound much more theatrical; more cinematic—like suited for film or television. I say this in the sense of it sounding grander in scale and less rustic than songs from the series’ past. Licht’s score has a heavy emphasis on gloom, mystery, panic. Overall, the songs do an excellent job at setting the mood and makes the theme of the scene (although we can’t see the scene just yet) very apparent. I would have liked to see more of an emotional rollercoaster, if you will, by having songs range from more upbeat and with feelings of resolution and remembrance, but outside of ”Intro Perp Walk”, I did not get that. But this brings up the issue of context. Videogame music–especially Silent Hill’s music—because hearing it brings to mind the scenes and story of when we have heard the tracks. The OST, for the most part, gives a more scenario based sound rather than individual solo tracks. This is true for the actual track names as well. I have not yet played through Downpour, so perhaps these themes of oppression and despair are prevalent within the story and there’s little room for happier emotions. The music may reflect that. Like all good Silent Hill OSTs, the songs connect to the story and theme of the game. Sounds and consistent melodies elude to aspects of the story. Licht’s OST has a lot of sounds that give the impression that something is developing within the scenes they are being used in. Boat horns, prison doors, children, and even clowns show up in some of these tracks. “Clowning Around with Monsters” is actually one the creepiest songs on the OST. It has some melodies that remind me of 80s to early 90’s horror films. The clown laughter in this song freaks me out. I don’t know what scene this song will appear in, but I shudder to imagine Silent Hill monster-clowns. Licht isn’t the only artist on the OST. As many fans know, and perhaps really dislike, Jonathan Davis of Korn did a song titled “Silent Hill” for the game. Honestly, I don’t mind it. I think what bothers people most is the band Korn being a part of something Silent Hill. Despite not being a fan myself, I think Jonathan Davis’ voice and the song’s sound is decent. Sure, it was probably an attempt at getting a known name behind the game, but it doesn’t bother me as much as I thought it would. It’s there; it’s not hurting me to hear, and not all Silent Hill fans strictly like similar genres. It works for some, and for others it won’t. For those still concerned, the song is part of the games attract mode. It won’t be popping up during a boss battle or something. Licht’s style may be more suited toward excellent background tracks that excite the moment, but I feel like it works for Downpour. Some long time fans might not like this type of change due to less songs featuring vocals or upbeat rhythms, but Licht’s approach and style is well executed. I’m a big fan of Dexter, and while I don’t like the idea of saying this sounds like his previous work, you can definitely sense Licht’s style in the music. I’ve never been one to listen to every background theme from the Silent Hill series. I appreciate them all, because in the context of the game, they are excellent. 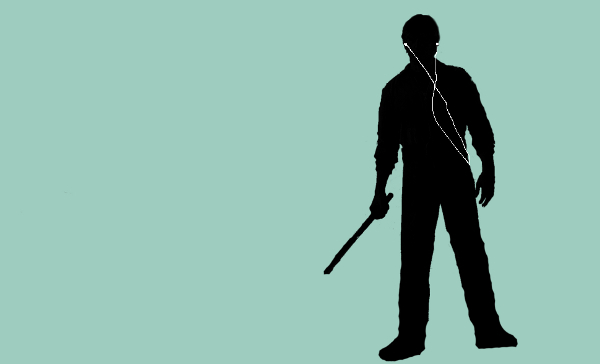 But listening to a suspense track while taking a stroll isn’t my kind of thing. I gravitate more toward songs that move me due to vocals or catchy melodies. So while I won’t be walking around listening to “Monastery Otherworld”, I can appreciate that it’s a visceral track that will do well within the moment it’s featured in within the game. The same goes for past tracks in the previous soundtracks. The Downpour OST is less about trip-hop rock and more about a layering of background music. Perhaps this is why I feel like there’s less that I would listen to while out and about. The only thing I can really complain about is Mary Elizabeth McGylnn’s brief—albeit moving– performance in “Into Perp Walk” and its partial reuse in “Bus to Nowhere”. I would have liked more trip-hop rock tracks to pick from the soundtrack and add to my everyday playlist. But that’s me. The Silent Hill OSTs from the past have always had varied sub-genres. I just didn’t feel that much here. If you’re a big fan of ambient background tracks then you’re golden. Overall, Licht has presented a nice new twist to the Silent Hill sound. His whimsical yet haunting melodies, mandolin homages, organ calls, and tribal drums make for a good score. I look forward to seeing how the tracks mix with the game’s imagery and story. If you’re a huge fan of the series and want to give Licht a try, then I don’t think you’ll be too disappointed. I look forward to seeing these songs in action once the game comes out. I can’t say that I’m not excited to hear Licht’s score for Book of Memories, either. I have no qualms with Licht sticking around. 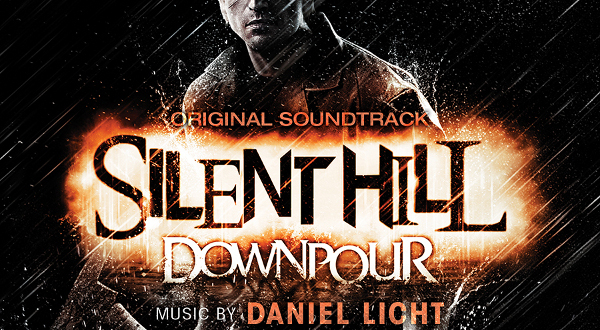 The Silent Hill Downpour OST releases March 13th. Currently, it’s on Amazon for preorder.